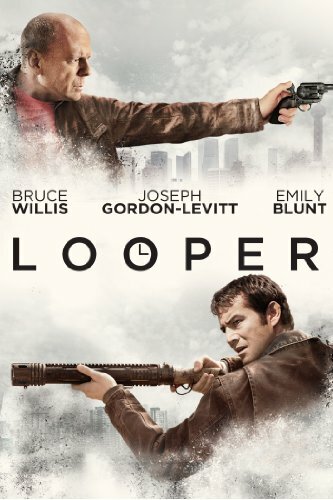 Watch Looper cheaply on Amazon or read more articles on film and television. You too can earn money from writing articles by signing up for InfoBarrel. Looper is set in the year 2044. Thirty years in the future from this date, time travel has been discovered and promptly made illegal. As a consequence of it being illegal, only criminals used it. It seems that disposing of bodies in the future is apparently very difficult due to improved tracking methods, so organised crime disposes of anyone they want to kill by sending them back into the past at a pre-specified time and date in the past, where the bodies can be easily disposed of, for the "Loopers" to kill. The Loopers are paid for their services in silver ingots. Eventually, every Looper will have to kill a future version of themselves, closing the "Loop" - as pointed out, it isn't a career picked by those who are into long term planning - for which they are paid in gold instead of the usual silver. Another feature of the world in 2044 is that a mutation has caused about 10% of the population to become "TK" or telekinetic; although this mutation usually only allows the manipulation of small objects, such as levitating coins. Credit: http://en.wikipedia.org/wiki/File:Looper_poster.jpgJoe is a Looper who lives in Kansas and works for the mob there, which is run by Abe (Jeff Daniels, The Divergent Series: Allegiant). Young Joe is played by Joseph Gordon-Levitt (Sin City: A Dame to Kill For, The Dark Knight Rises), old Joe is played by Bruce Willis. Joe isn't a very nice person; he kills people for money and has little feeling for anyone but himself, not even his best friend or, as turns out, his future self. When Old Joe appears, Young Joe hesitates and Old Joe escapes. This results in Young Joe in pursued by his present-time employers, as letting yourself escape is not permitted. Old Joe has decided to get his life back by eliminating the overall boss from the future, a mystery person known only as the Rainmaker. He has tracked him down to Kansas and his method of stopping him is rather similar to the actions of the Terminator's in the various films - eliminate the troublesome person before they are able to cause trouble. Old Joe travelling back into the past and staying alive starts to alter the future, as it changes what Young Joe does, and changing what Young Joe does affects the memories of Old Joe, changing them and his past. One slight problem with the film is that it is using two contradictory results for time travel at the same time. On the one hand, actions in the present change the future. On the other, the future was caused by those actions in the first place, so it isn't being changed. This is hardly a problem unique to Looper, and does occur quite commonly in time travel films. Other than that slight niggle, which admittedly won't be that obvious to many unless they read a lot of fiction and speculation about time travel, this is a very enjoyable film. Young Joe seems to grow into a real person through the film, especially after he meets Sara (Emily Blunt, Edge of Tomorrow, Sicario, The Huntsman: Winter's War), evolving from the shallow, one-dimensional person he started out as. Joe wasn't one-dimensional because he wasn't written well, he was one-dimensional because he simply didn't care about anyone else. There are some interesting small touches in the film too; although many of the cars and vehicles are recognisable, the older ones have been retrofitted with solar panels and some type of closed loop exhaust system that takes the exhaust emissions and puts them back into the fuel tank. Looper is an excellent science fiction film of the not-too-distant future where criminal gangs control much of the world. Thank you for a great review. Thumbs up! Very nice review. I think I might want to see it, now. One thing I liked is how they used cosmetics and things to make Levitt look like Willis. Pretty interesting stuff. Looper is one of my favourite films of the year so far. I kinda liked the movie, but disliked it as well. It had an interesting plot point, but the characters seemed kinda bland. Also, i did like that they made Levitt look like a young Bruce Willis as stated by Brandon. I do think that Young Joe was somewhat deliberately bland earlier in the film. Old Joe was so focussed on vengeance he didn't really consider anything else. The real character was Young Joe later in the film. Time travel gives me a headache, but I thought the movie was decent overall. Thanks for your insightful review. Time travel can be very hard to handle, especially in films where they tend to throw internal logic out the window. Looper was an awesome movie! very suspenseful, till the ending! I agree that it had a good ending.